Save Money & Have fun doing it! Choose from these amazing boat lines! Welcome to the Great Boat Holiday! Thank you very much for keeping your boat at Len’s Cove; we hope you had a fantastic summer this past season. We want to take this moment to share with you a program that we think has amazing value, a very exciting opportunity for you! Introducing the 8th Annual Great Boat Holiday by Len’s Cove! What better way to beat the upcoming "winter blues" than by taking a holiday from boat ownership. If you are in the market for a new or new-to-you boat next summer, Len’s Cove Marina invites you to take a break from boat ownership and start fresh in 2019. Reward Yourself! - Use your Great Boat Holiday purchase to get AIR MILES® Reward Miles! 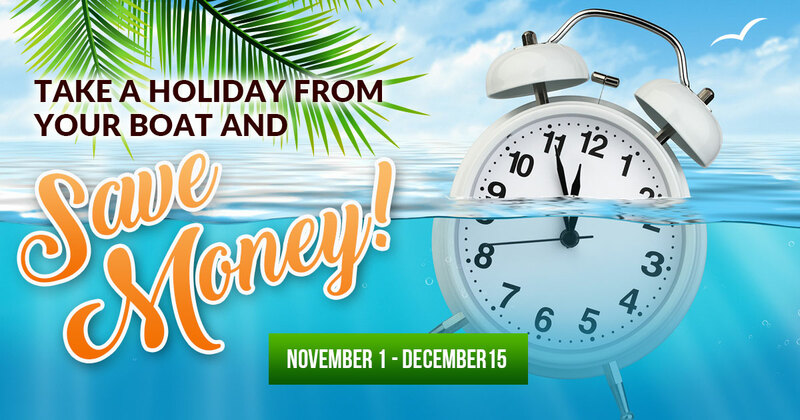 Take this Holiday from your boat and schedule a real holiday! Get up to 4X AIR MILES® Reward Miles*. Offer valid Nov 1, 2018 - Dec 15, 2018. MAXIMUM trade value! Since we have all winter and spring to sell your trade, it will never be worth more! Because of that we offer about 2-5% more than we do next spring. Get a Storage Credit! Trade your current boat now and receive an instant credit equal to the storage portion of your winter contract! Cancel your boat insurance! You won't need it for a few months. Acquire any boat you want! This program applies to all new and used inventories plus custom ordered 2019 boats! Reward Yourself! Use your Great Boat Holiday purchase to get AIR MILES®! Take this Holiday from your boat and schedule a real holiday! Get up to 4X AIR MILES® Reward Miles*. Take your Time and have maximum choice! The commitment to trade can come before you decide what you want next season. Used inventory is now at it's peak and you still have time to grab a deal on a inventory boat or even order one custom for next spring. Bottom line, waiting till spring costs you money and reduces your choices dramatically! Use your Great Boat Holiday purchase to get AIR MILES® Reward Miles! BONUS AIR MILES® Reward Miles offer valid only on select inventory. See in-store for full details. *AIR MILES® Offer Terms & Conditions: *Bonus Miles valid Nov 1 - Dec 15 2018. Get 2x Reward Miles on any Ordered 2019 boat for spring delivery; Get 4X Reward Miles on in stock New boats; Get 1 reward mile per $100 pre-tax on used boat sales. Bonus Miles apply to the total base Reward Miles earned on qualifying purchases at a rate of 1 reward mile per $100 pre tax on new boat sales. The number of Reward Miles awarded will be rounded down to the nearest whole number. Fractions of Reward Miles will not be awarded. Please allow up to 4 weeks from time of purchase Bonus Reward Miles to appear within your Collector Account. ®™ Trademarks of AIR MILES International Trading B.V. Used under license by LoyaltyOne, Co. and Lens Cove Marina Limited. Quote signifying your trade will be drawn up indicating the unit you have chosen (or a unit “yet to be decided”). To qualify you don't have to rush the decision on the new or "new to you" boat - just say yes to the trade! Program ends December 15, 2018 - “commitment to buy” must be made by that time. Storage Credit (that you have already paid) gets applied at time of boat delivery in spring. New “In stock” unit requires a 10% deposit signing, (not including value of “storage credit”), balance due March 15th, 2019. 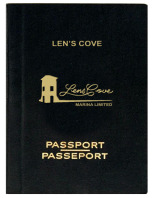 New “Ordered” unit requires a 10% deposit signing, (not including value of “storage credit”), balance due upon delivery from the manufacturer to Len’s Cove. On a Used “In stock” unit, 25% deposit is required at signing, (not including value of “storage credit”), balance due March 15th, 2019.